Meal planning has been wonderful for my family, but I have to admit - I'm very lazy about it. I plan with easy days in mind, and knowing full well that there will be day in which a) I don't feel like cooking, or b) my son decides he is not at all interested in what I've made. This means that, regardless of how organized I am, there will be days that I cook on the fly, or need a back up plan, and quick. 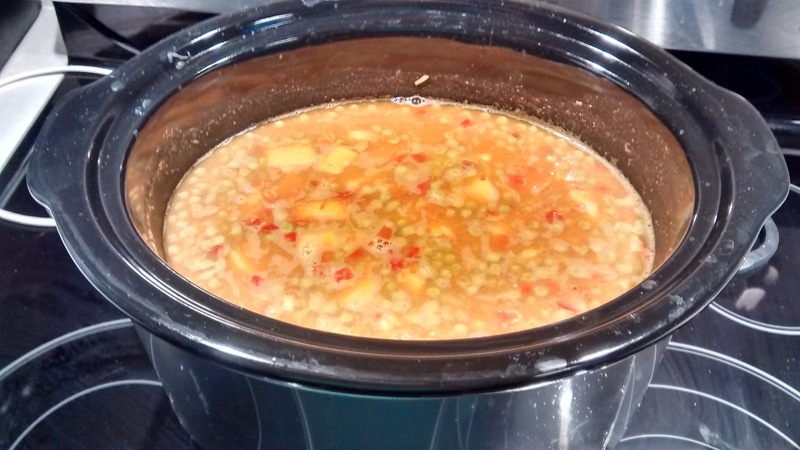 Slow cooker to the rescue! This thing can make volume, and if you learn how to use it, it can be the ace in the hole you need to survive the age old question "what's for dinner?" Not just for your aunt's meatballs - just about anything can be made in a slow cooker. From soups and stews, to juicy meat dishes, and even breakfast casseroles! You can come home to dinner ready multiple times a week with enough planning. No time in the morning? Stock it up on your lunch break, or mid-way through your Sunday, to have your time free for other things. Although using a slow cooker is very, very easy, there is a bit of a learning curve. The first few time you use it, I would suggest being at home so that you can stop by periodically to check for liquid levels. Long cook times have a tendency to cause more evaporation than you would cooking stove-top, and you might need to compensate a little. Also, things like rice and pasta definitely cook differently than in the oven or in a pan. Stick to recipes meant for slow cookers until you're confident that you can accommodate the differences. Trust me, I've burnt a few chillis in my day. The smell is horrendous. Here are some great looking recipes you might want to try at home! I've tried a few, and can't wait to try more. Do you have a slow cooker obsession like I do? What's your favourite recipe?